We have changed our prescription system. You will need to be registered with the new system. * PLEASE NOTE: To register with SystmOnline please contact the surgery in person for your log on details or send a representative to the surgery with a signed consent form. (Bring along some form of identification). Our repeat prescription system is computerised. 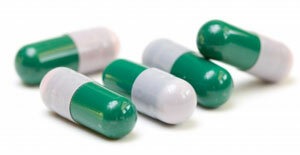 Along with your prescription, you will receive a tear-off counterfoil of the medication being issued. 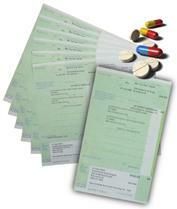 These will be processed within 48 hours and there are a number of ways that you can request a repeat prescription. You can return this tear-off counterfoil to the surgery with the items required clearly marked with a tick. This can be handed in at our reception desk or placed in the ‘repeat prescription’ post box that is located in the surgery waiting area. You can post your request to the surgery and it will be processed within 48 hours of receipt. You can request a repeat prescription from the website; these requests are picked up daily by the reception staff. It may be possible for you to make arrangements with your local Pharmacist to deliver you request to us and also to collect it for you. Please speak with your Pharmacist to see if this service is available. If you do not have, or cannot find your tear-off slip from previous prescriptions, do not worry. Either write the details onto a slip of paper or come in to the surgery and completed a ‘Repeat Prescription Request’ form. Please note that in all cases, if you wish your prescription to be posted back to you, a SAE must be supplied. If there is a genuine reason for needing a repeat prescription urgently, please let us know and we will do our best to provide it for you. We would ask you to appreciate that, for reasons of patient safety, we cannot accept requests for repeat prescriptions over the telephone. This ensures that errors are not made through mispronunciation or incorrect spelling of the medication(s) required. How convenient would it be if you were able to come to the doctors once and collect enough prescriptions to last up to one year? It is not appropriate for everyone; this service is available to some of our patients but only under certain circumstances. We are now able to offer our patients the ability to have their prescriptions issued electronically to the Pharmacy of their choice. This will mean you can go directly to the Pharmacy to collect your prescription without the need to first collect a paper copy from the Surgery. The attached leaflet explains this in more detail but if you have any queries, do not hesitate to contact your chosen Pharmacy or the Surgery.